This is my participation in Scott Thomas Photography’s challenge whose theme is “Food”. 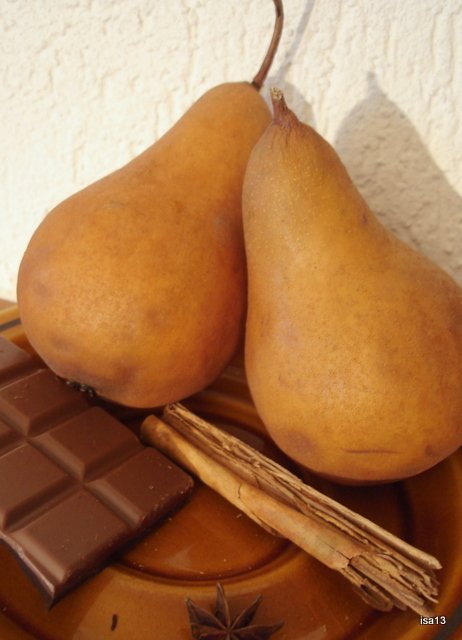 Choose a not too ripe pear and peel it without cutting it in slices. Let it simmer gently in some water with sugar, star anise, cinnamon and a little lemon juice. In the meantime prepare a chocolate sauce (some water and chocolate). You may add some light cream before serving, if you like it. 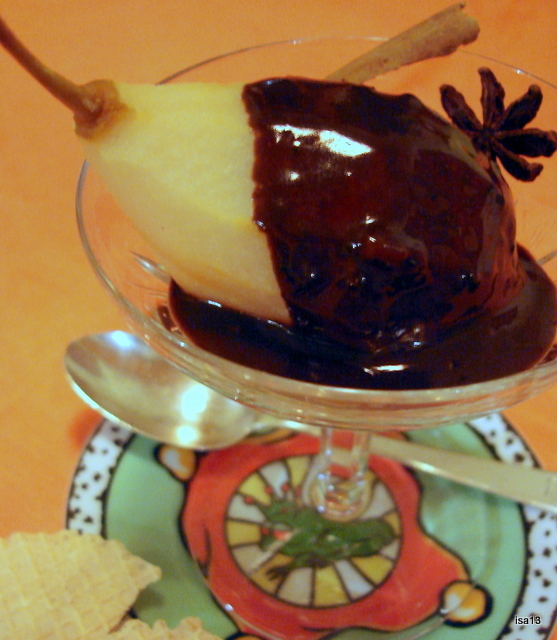 Here is another recipe for a dessert with pears or apples. Cut the pear in two pieces and cook it at slow heat in a non-stick pan with a little sugar, part of a vanilla pod , a few seeds of cardamone and some lemon juice. The pears should take some colour and a lovely crust but not too much ! Then just serve it warm with a sorbet (or ice-cream). I chose a passion fruit/mango yogurt sorbet. 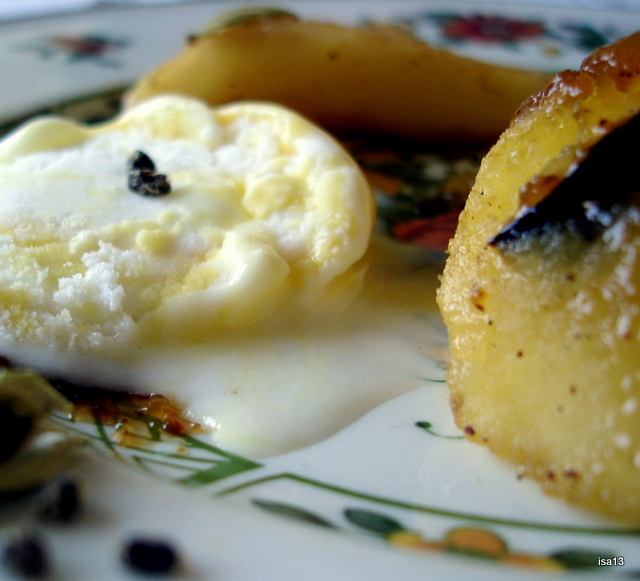 We call this kind of dessert a “chaud-froid” – “warm-cold dessert”.